Apple chief executive Tim Cook apologized to customers Thursday for not being clear that the company slows down phones with aging batteries. Cook promised that, in the future, Apple will “give users more visibility into the health of their iPhone’s battery” and let people see if their battery’s age affects their phone’s performance. Apple is offering a discount on battery replacements to anyone with an iPhone 6 or later, the company said in a statement. A replacement will now cost $29 instead of $79 starting in late January 2018. The cheaper price is more in line with third-party repair shops. While Cook’s message was apologetic, he still rejected allegations that Apple slowed down phones with older batteries as a way to push people into buying new phones. “First and foremost, we have never – and would never – do anything to intentionally shorten the life of any Apple product, or degrade the user experience to drive customer upgrades,” he said. The company said previously that unless it reduces the performance of its phones, the older batteries run a higher risk of spontaneously shutting down. This explanation makes technical sense, many experts have said. Apple’s disclosure last week that it slows down phones has sparked much criticism and a string of lawsuits. AFrench consumer rights group filed a suit on Dec. 27 that accuses Apple of degrading its old phones in order to sell new ones. In France, it’s illegal to degrade old products to promote the sale of new ones, meaning that the suit filed in France by the group Halte ` l’Obsolescence Programmie is the only lawsuit that carries the possibility of up to two years in prison. The group, which lays out its case in an online statement, did not immediately respond to a request for comment. It has also previously sued printer companies including Epson over claims that they violate the same law. The printer case is currently under investigation. Apple also faces at least eight lawsuits from iPhone owners in places including California, New York, New Jersey and even Israel that claim Apple owes its customers money for not previously disclosing the slowdowns. 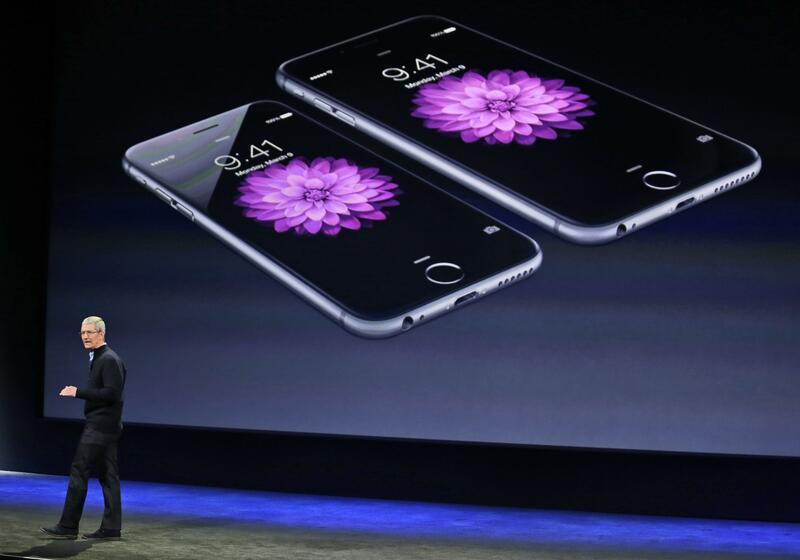 The suits ask the company to pay iPhone owners varying amounts. One California suit seeks nearly $1 trillion in damages. South Korean government telecommunications officials have also said they will look into the reports, according to the Korea Herald. The argument of the people criticizing Apple largely have rested on two claims: one, that Apple hurt the performance of the phones in secret and two, that doing so made it more likely that someone would buy a new iPhone rather than fix their old one. Apple did not immediately respond to a request for comment on the suits or the investigation. The suits cap off a rocky year for Apple, which saw a lot of financial success but also a good deal of small controversies – including a bug that prevented iPhone owners from typing “i” and several software issues. It also faced criticism over a lukewarm reception for its iPhone X and had to delay the release of its smart speaker, the HomePod, to 2018. That said, Apple’s not hurting on the business front, though. Cook earned his $9.33 million end-of-year bonus thanks to strong stock market performance. And Apple appears to be finishing the year strong, with more people starting up new iPhones and iPads than devices from any other gadgetmaker this year, according to research firm Flurry Analytics. Published: Dec. 28, 2017, 2:53 p.m.